The judgement was produced by a three-judge bench of the apex court led by Chief Justice of India Ranjan Gogoi and Justices S K Kaul and KM Joseph. The Supreme Court on Wednesday, April 10, dismissed preliminary objections raised by the government regarding the documents "stolen" from the defence ministry as evidence in the Rafale fighter jet deal. The judgement was produced by a three-judge bench of the apex court led by Chief Justice of India Ranjan Gogoi and Justices S K Kaul and KM Joseph. The bench delivered a unanimous verdict, saying the review petitions should be adjudicated on its own merit in the light of the papers submitted by the petitioners - former Union ministers Yashwant Sinha, Arun Shourie and advocate Prashant Bhushan - seeking review of its December 14, 2018 judgment. The top court gave a clean chit to the Narendra Modi government in the Rafale deal. The bench said it would fix a new date for the hearing of the review petitions. The judges said the pleas would be heard on the basis of their merits. The Supreme Court had on March 14 reserved its order on whether it would examine the documents shared by advocate Prashant Bhushan and others in the review petitions filed in the Rafale jet deal controversy. The Centre had objected to the admissibility of certain papers that were published by The Hindu newspaper and later carried by news agency ANI. The Centre claimed privilege over documents pertaining to Rafale fighter jet deal and told the apex court that no one can produce them in the court without the permission of the department concerned. Attorney General KK Venugopal, appearing for the Centre, referred to Section 123 of the Evidence Act and provisions of the Right to Information Act (RTI Act) to buttress his claim. The Hindu newspaper had on February 13 reported that the deal became more expensive for India because of France's refusal to provide bank guarantees. The newsbreak by N Ram, Chairman of The Hindu Publishing Group, says the deal signed by Prime Minister Narendra Modi in 2016 for the aircraft and weapons packages for 36 fly-away Rafale fighter jets was more expensive by around Rs 1,963 crore than the estimated aligned cost of the 126 aircraft deal being negotiated by the previous UPA government. 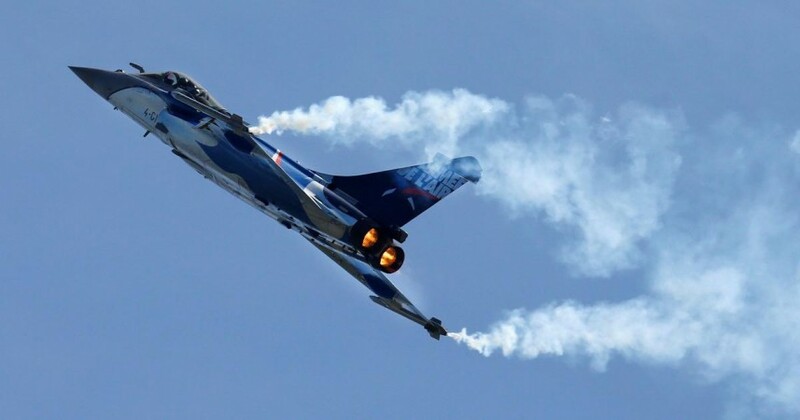 The Rafale jet deal ran into controversy after the opposition parties led by the Congress alleged irregularities in the signing of the contract with the French firm.